St Joseph’s College has enjoyed phenomenal success in recent times, churning out champion teams in cricket, rugger, soccer, basketball and swimming and has frequently hugged the headlines for its splendid performance in sports – so much so that the school has produced a champion senior team in all major sports in the last 12 months. Its academic success is not far away, as it continues to produce excellent results every year at the G C E Ordinary Level and Advanced Level examinations. In fact the school’s achievement at last year’s G C E Advanced Level is believed to be the best among the island’s private schools. Amidst this backdrop the college has achieved yet another outstanding feat as its First Eleven Cricket Captain Jehan Fernandopulle obtained three As at last year’s Advanced Level examination. Jehan becomes only the second First Eleven Cricket Captain at St. Joseph’s to achieve this feat. 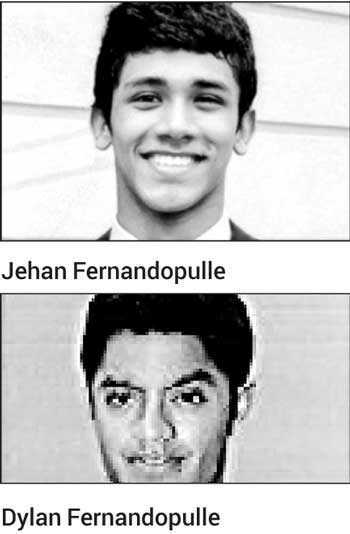 The first to achieve this feat was Dylan Fernandopulle, who is a cousin of Jehan. Dylan captained St. Joseph’s First Eleven in 2013/14 and also obtained three As in his Advanced Level examination in 2014. Incidentally, Jehan stepped down from the First Eleven captaincy for personal reasons after leading them during the third term season last year.